Toler, Stan. The Power Of Your Attitude: 7 Choices For A Happy And Successful Life. Eugene, OR: Harvest House Publishers. 2016. Attitude is a choice. And that choice can determine the outcome. Author and speaker Stan Toler shares 7 choices that give the power to transform life. With attitude choices of compassion, generosity, humility, gratitude, and perseverance, combined they have the power to affect identity, character and reality. Working through negative messages and habits, The Power Of Your Attitude encourages and demonstrates the effect of positive words, actions and thoughts. Falling into a negative pattern can be very easy yet hard to break. In the author’s new book, he examines how and why attitude has the ability to control life, what changes need to made inside (of you), and how to implement those positive changes of attitudes in everyday life, as well as the positive outcomes. 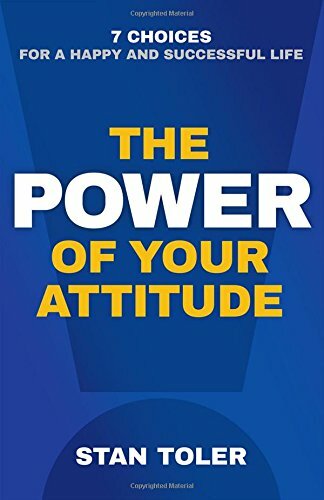 Easy to read, simple to relate and full of real examples, The Power Of Your Attitude has the power to change your life. This entry was posted in Christian Books and tagged Attitude, Choices, Christian, Christian Author, Christian Book Review, Christian Contemporary, Christian Non-fiction, Devotional, Healthy Lifestyle, Inspirational, Stan Toler by Savurbks. Bookmark the permalink.